As part of a day of commemorative events on June 10th, Mayor Norman J. Clark will unveil a commemorative plaque in Rathbun Park, Deseronto, to mark the town’s involvement in the First World War. Some 300 local people served in the Canadian Expeditionary Force, and more than 50 men lost their lives while they were attached to the two pilot training camps, either side of Deseronto. The commemorative plaque was funded by the Council of the Town of Deseronto and coordinated by the Deseronto Archives Board. It is the first of a planned series of plaques aimed at bringing Deseronto’s colourful past to life on the present-day streets of the town. We hope you will be able to join Mayor Clark and the Deseronto Archives Board in Rathbun Park at 3pm on June 10th for the unveiling of the plaque. Media release – Deseronto plaque unveiling. 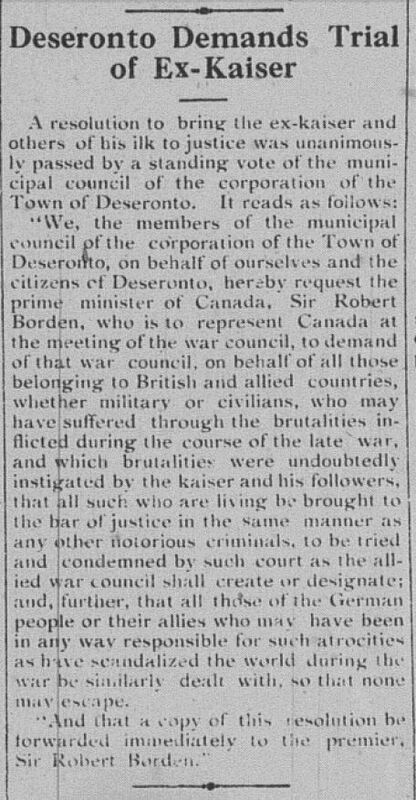 Mr. W. N. Myles of the Deseronto House Hotel being present, it was moved by the Reeve, seconded by Councillor Richardson, that he be heard. 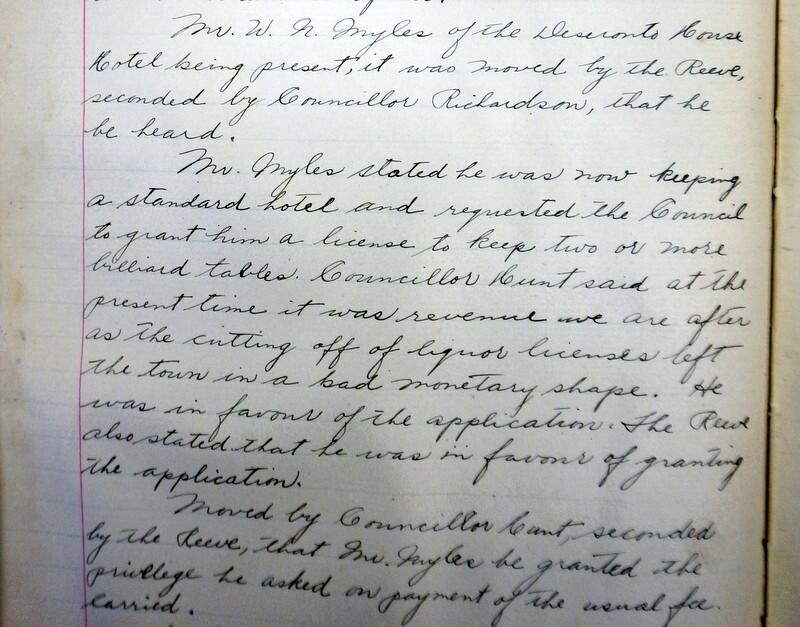 Mr. Myles stated he was now keeping a standard hotel and requested the Council to grant him a license to keep two or more billiard tables. Councillor Hunt said at the present time it was revenue we are after as the cutting off of liquor licenses left the town in a bad monetary shape. He was in favour of the application. The Reeve also stated that he was in favour of granting the application. Moved by Councillor Hunt, seconded by the Reeve, that Mr.Myles be granted the privilege he asked on payment of the usual fee. Carried. according to the terms of the Act. William Myles maintained his association with billiard tables: in the 1921 census he was living in Thomas Street with an occupation of ‘Amusements’, working as an employee in a pool room. He retired to Hamilton and died there on December 31st, 1927 at the age of 69. He lived long enough to see the Ontario Temperance Act repealed: in March 1927. 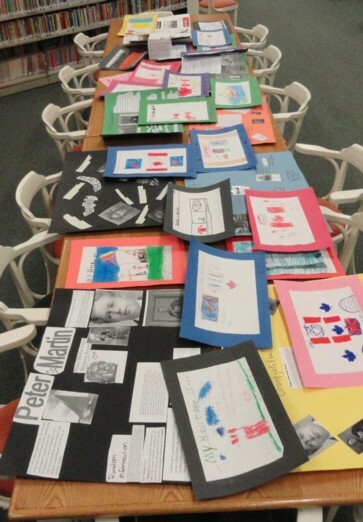 Last year’s family heritage competition, run by the Archives Board in conjunction with the staff and students of Deseronto Public School was such a great success that it didn’t seem possible that 2011’s competition could be as good. But it was! Thanks to all the children who entered – it was very difficult to judge, but Board members Reverend Betts and Sharon Sharpe chose four winners from the entries we received. Congratulations to Gabe Cook, Stevi Menard, Jakob Howald and Britney Wotherspoon. 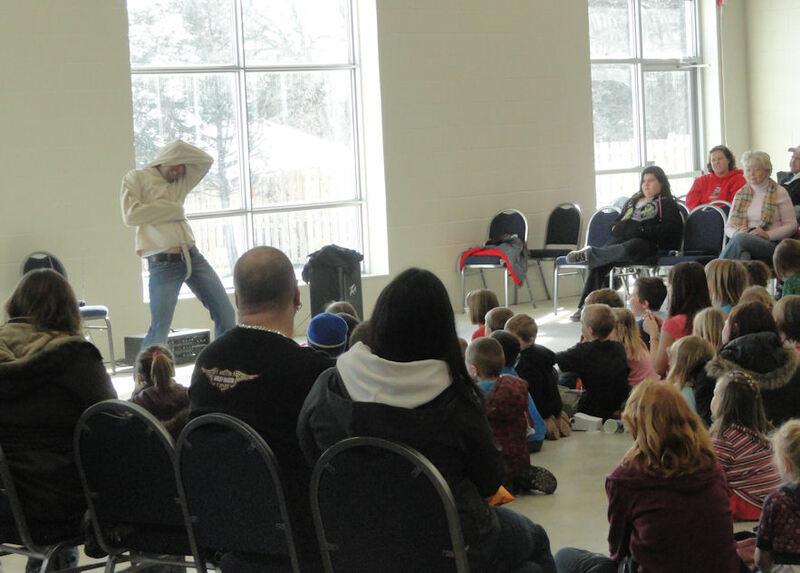 The prizes were presented in the new Community Hall of the Deseronto Recreation Centre by Deputy Mayor, Clarence Zieman and Archives Board Chair, Paul Robertson, following on from a great show by magician Nigel Harrison, who escaped from a straight jacket immediately beforehand. Another tough act to follow! All the entries received this year will be on display in Deseronto Public Library for the next week or two: please drop by and see the excellent standard of work by the children. THEREFORE, I, Norm Clark, Mayor of the Town of Deseronto, do hereby proclaim 21 February 2011 as Heritage Day in the Town of Deseronto, and call upon all citizens to celebrate the richness of our past and the promise of our future. 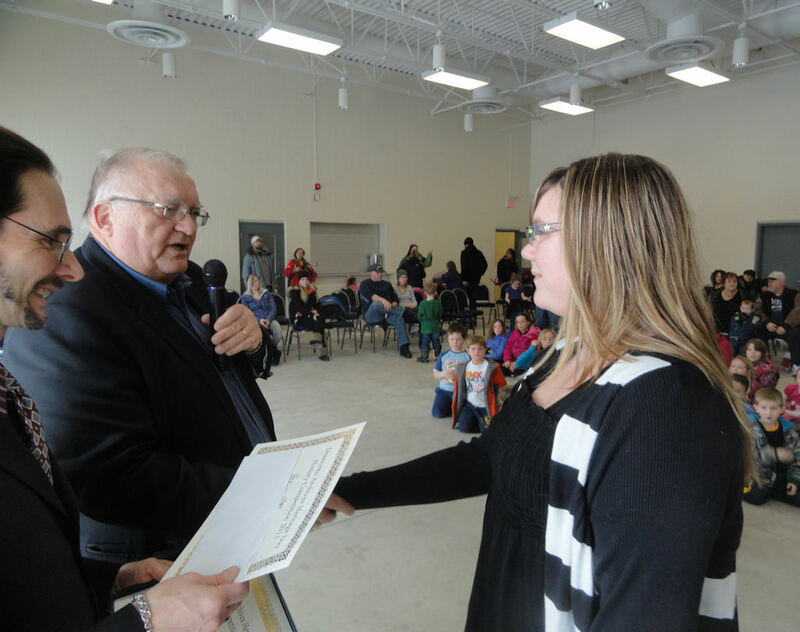 As part of Heritage Day, the Archives Board will be presenting prizes to members of Deseronto Public School who have entered the annual Heritage Day competition. Prizes will be awarded on Heritage Day at 3pm in the Deseronto Community Recreation Centre at 51 Mechanic Street. Thanks very much to the Archives Board members who have helped to promote this competition and the Heritage Day proclamation in Deseronto.